Finalist in "The Most Outstanding Club" category in Tennis Australia's Newcombe Medal awards. Enter online or through our reception. For a full calendar of all tournaments held at Boroondara Tennis Centre check out our Tournament Calendar. Ask reception staff for your Loyalty Card and your 10th coffee is FREE! 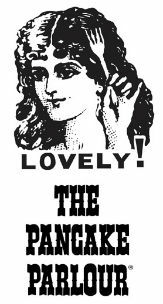 Yes the Pancake Parlour at Doncaster is LOVELY!!! Support our new partner, who will be supplying a number of giveaways over the coming months. Hi and welcome to another edition of our monthly newsletter. 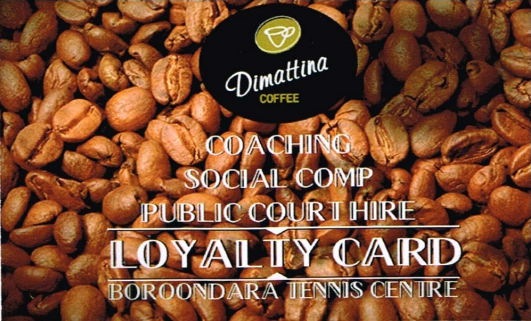 Boroondara Casual Play Card Launching Soon! Benefits include - General Court Hire, 1 Free Night of Social Comps, Pro Shop Discounts, Coaching discounts and more to be included in the future. Tennis Hot Shots match play on Saturday afternoon is looked after by Jason Yap. This is the perfect next step for our Tennis Hot Shots players who are looking to take the next step in their tennis development. Tennis Hot Shots is the official Tennis Australia starter program for young players aged 4 to 7 years of age. By using smaller courts, racquets and low compression balls the program makes learning tennis easy for new players. All Term 3 enrolments go into the draw for 2 Tickets to the 2018 Australian Open. TUESDAY, WEDNESDAY and THURSDAY mornings; ENTER AT ANY TIME, on your own, with a friend or a team!! Child Care is also available. 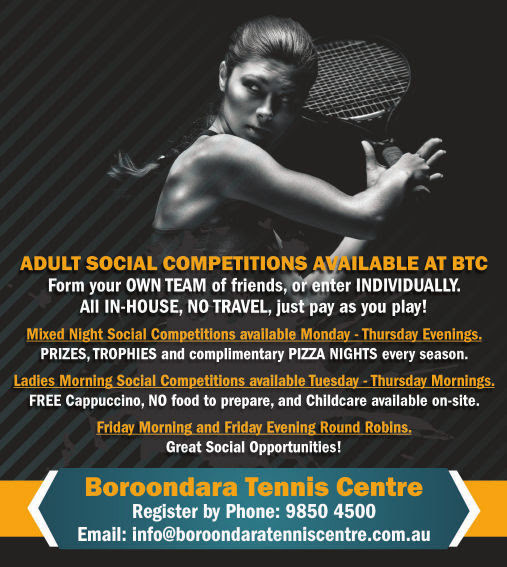 Come and play in our new season of Adult Night Social Competition. We're still taking entries for Individual and Teams plus some great benefits on offer! An INFORMATION FOLDER for every player with vouchers! NEW First full team to register each night receives a voucher for: One hour of FREE COURT HIRE AND COFFEE! 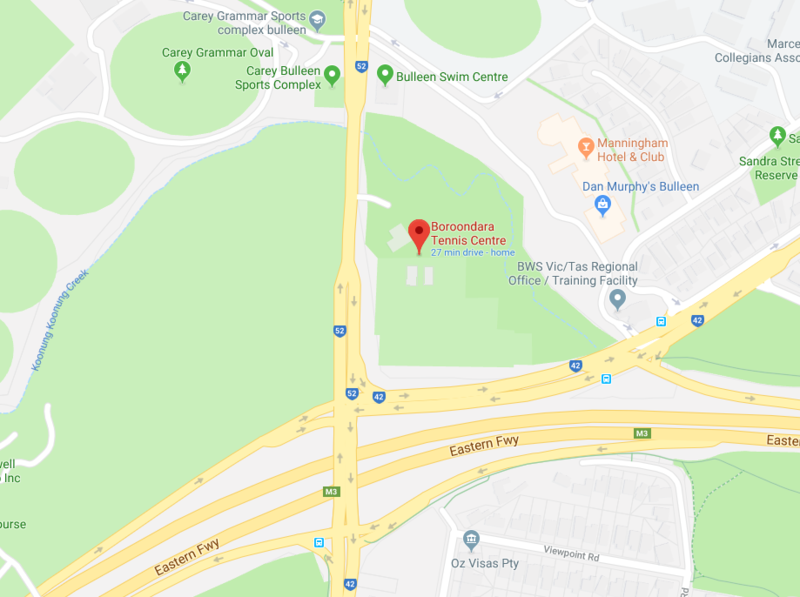 The Boroondara Tennis Centre runs a seven day a week comprehensive junior tennis program for children eight years of age and over. Our Junior Group Coaching lessons cater for junior players of standards ranging from total beginners, who may have never played before, to intermediate level and competition players, and serves as a stepping stone to our elite Tennis Academy program. Copyright © 2017 Boroondara Tennis Centre, All rights reserved.